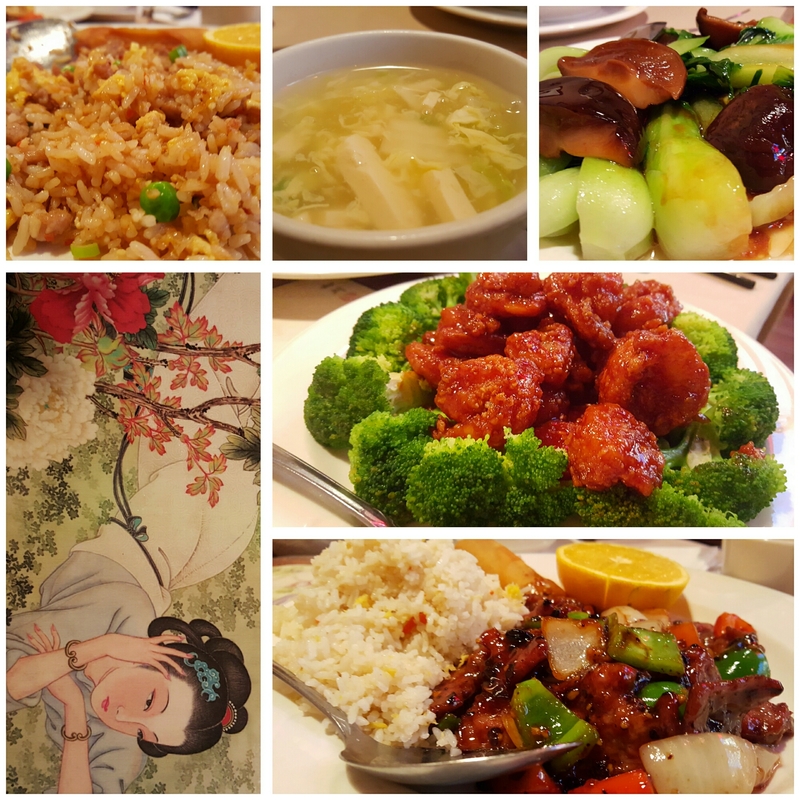 Chinese Cuisine that will make Your Day when you Dine at Chin’s Gourmet! December 28, 2015 ~ Trevis Dampier Sr. The experience of dining in China is far different than eating at restaurants in America. Manners and menus are almost entirely opposite. Menus in China are usually illustrated hardback books, in which almost every single dish has a picture. That means a menu typically has around 20 pages, lined with beautiful photos. Chinese people order food according to the picture, not necessarily the written description in menus. A couple months ago I was in Temecula, Ca to attend my son’s Pop Warner football event. As I was driving down the street I noticed a large artistic looking restaurant smack down on the corner that drew my attention. My wife and I were famished and needed something that would be flavorful and filling at the same time. What better than some Chinese cuisine.. So we arrive inside this huge establishment and see all kinds of Chinese art, statues and a great setting to give you a great artistic relaxing ambiance to enjoy a great meal. Even on the table itself there was artwork of a Chinese woman laying down in meadows looking as peaceful as she could be. There were all sorts of items on the menu to choose from and even some that I had never seen before like Red Red Shrimp. This was definitely going on our order; so we ordered that and we added Hunan Beef, Egg Flower Soup and Chinese Green Cabbage with Mushroom and Pork Fried Rice. We receive the Egg Flower Soup first which is the perfect beginning to an elaborate meal. This is a light, savory and tasty soup made of wispy beaten eggs boiled in chicken broth with thin tofu slices. Each sip warms your belly and salts your tongue to begin a festive live action eating event. Red Red Shrimp which is lightly braised jumbo shrimp sauteed in a sweet pungent sauce on a bed of broccoli. Then we have the Hunan Beef which is thinly sliced beef cooked with bell peppers, onions, and a soy and rice wine sauce. The bok choy (chinese green caabbage) and pork fried rice speak for themselves. I begin to dive into the Red Red Shrimp immediately as they flaunted their red plump juicy bodies to me as they lay on the green meadows of broccoli. As I bite into the plump body of the shrimp it makes a popping sound to express the flavor and exotic goodness it has projected to me. The shrimp was fresh and plump and the sauce enhanced it to be a sweet and somewhat spicy sensation. I kept popping them into my mouth like they were Skittles..
Sooo good.. Soooo fulfilling.. So powerfully unique!! Now time to fill my plate with the rest of the goodies. I grab some of the Pork Fried Rice, the Hunan Beef, the Bokchoy and more of the Red Red Shrimp and fill my plate to completion. Now it is really time to get down with the get down.. I bite in and the flavor of the green pepper,onions and soy sauce immediately punch me in the face! The beef is thin and super tender and melts in your mouth. Man this is good! Combine that bite with pork fried rice and that just enhances the bite of everything you put in your mouth. The Pork Fried Rice is so powerful in flavor; that could be a dish on its own. You can’t eat all of this meat without a veggie dish to add to good health and the Bokchoy with mushrooms does the trick for that. Overall, a great tasty meal, in a great ambiance and a beautiful place to remember! True live action eating! Good job Chin’s! Thanks for joining me on today’s adventure! I look forward to seeing you on the next run! < Previous I get Anxious and Jumpy when it comes to food over at Stumpy’s! Next > Exotic Italian Extravaganza is my Moddo at the A Bellagio!